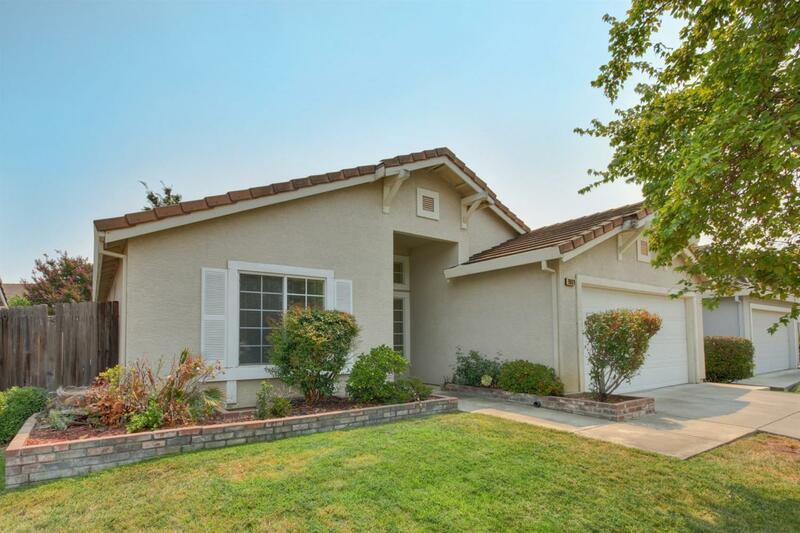 Charmer for first-time home buyers in Laguna Park, ready to move into, just in time for back-to-school registration in Elk Grove. Near Laguna Creek High School & Laguna Community Park. Nice layout, 2 bedrooms toward the front, split by a guest bath, and big master suite in back. Formal living room features fireplace, dining area. Big kitchen with black / stainless appliances, refrigerator can stay, ceramic counters and laminate floor. Laundry in 2-car garage. Uncovered patio. Storage cabinet.